How do people come to think of themselves as instructional designers? This is partly a matter of acquiring expertise, e.g., the knowledge and skill sets found in professional standards, e.g., those of IBSTPI or AECT. But identity also involves adoption of new professional roles and affiliation and active engagement with professional communities. IDT academic programs facilitate and sport student in their induction into the field, but not always in a systematic, intentional way. Indeed in today’s world, IDT professionals may identify with different fields and roles depending on situation and context. This article explores these issues and provides a conceptual framework for understanding how people take on new IDT identities and the role played by academic programs in that process. The framework consists of a set of guiding principles and processes, A set of recommendations is then offered for IDT academic programs to begin seeing professional identity as a learning outcome and supporting students along that important journey. 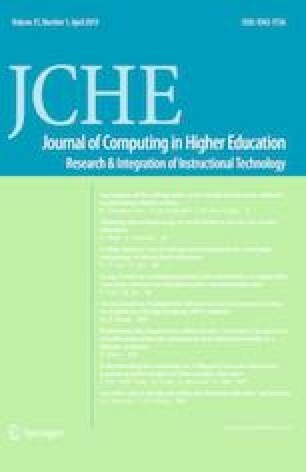 This paper was envisioned to be part of the special issue, The Development of the Instructional Designer, Guest Editors Abbie Brown and Jill Stefaniak, which is Volume 30, Number 1 (April 2018). Akhundov, E. (2016). Modern learners, their needs and expectations based on Deloite’s “Meet the Modern Learner” infographic. [Blog post]. Retrieved from https://www.linkedin.com/pulse/modern-learners-needs-expectations-based-deloittes-akhundov-chdt. Accessed Sept 2017. Bird, J. (2004). Professional navel gazing: Flexible learning professionals into the future. In R. Atkinson, C. McBeath, D. Jonas-Dwyer & R. Phillips (Eds), Beyond the comfort zone: Proceedings of the 21st ASCILITE conference (pp. 123–133). Retrieved from http://www.ascilite.org.au/conferences/perth04/procs/bird.html. Accessed Sept 2017. Caza, B. B., & Creary, S. J. (2016). The construction of professional identity [Electronic version]. Cornell University, SHA School site. Retrieved from http://scholarship.sha.cornell.edu/articles/878/. Accessed Sept 2017. Davidson-Shivers, G. V., & Barrington, M. E. (2004). Revisiting the professional status of instructional design and technology and the specializations within. ERIC document reproduction service no. ED485073. Retrieved from http://files.eric.ed.gov/fulltext/ED485073.pdf. Accessed Sept 2017. DS106. (2017). About DS106. Retrieved from http://ds106.us/about/. Accessed Sept 2017. Inouye, D. K., Merrill, P. F., & Swan, R. H. (2005). Help: Toward a new ethics-centered paradigm for instructional design and technology. IDT Record (pp. 1–27). Retrieved from http://www.indiana.edu/~idt/articles/documents/Inouye_print_version.pdf. Accessed Sept 2017. Instructional Coordinators. (2015). In U.S. Bureau of Labor Statistics. Retrieved from https://www.bls.gov/ooh/education-training-and-library/print/instructional-coordinators.htm. Accessed Sept 2017. Kuh, G. (2008). High impact educational practices: A brief overview. Retrieved from https://www.aacu.org/leap/hips. Accessed Sept 2017. Sharif, A., Cho, S., & Cervera, M. G. (2014). Hearing from instructional designers: Our identity and actual practice. Retrieved from http://www.tdx.cat/bitstream/handle/10803/277385/AfsanehSharifThesis.pdf?sequence=1#page=89. Accessed Sept 2017. Wilson, B. G., & Gregg, A. (2015). How human agency contributes to thinking about e-learning. In M. Simonson (Ed. ), 2015 annual proceedings on the practice of educational communications and technology (Vol. 38(2), pp. 337–342). Retrieved from: http://www.aect.org/pdf/proceedings15/2015i/15_22.pdf. Accessed Sept 2017.